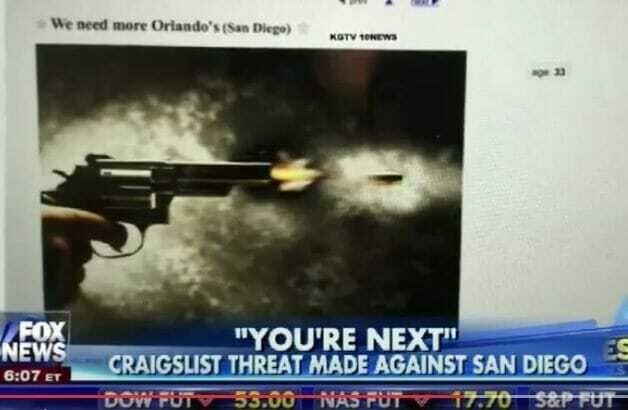 An online ad in the men-seeking-men section of the San Diego Craigslist threatened another Orlando-style massacre. The threat with slurs against the San Diego gay community said the mass shooting in Orlando was long overdue. The post is titled “We need more Orlando’s (sic),” and it is accompanied by a photo of a hand firing a revolver with a bullet coming out of the barrel.